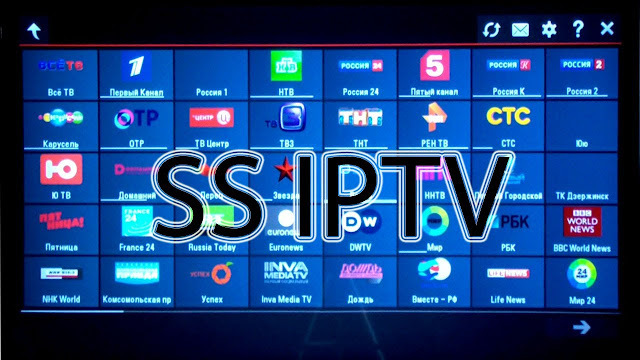 HOW TO SS IPTV PLAYLIST DOWNLOAD ? The user can have any number of external lists and only one internal list live and VoD on the threads. To download the link, log in to the Contents section of the Preferences screen, select the External Playlists subkey, and click the Add button. Enter the name of the playlist and reference in the corresponding field, and click the Save button. 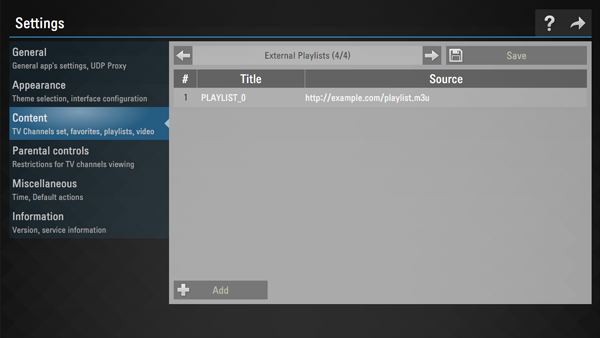 Tile of the external list is displayed on the main screen of the application, the download of the playlist will be performed every time you press this tile. Warning : To download the external list on some TV models like ss iptv samsung smart tv and ss iptv lg smart tv , you use the application server! This means that it can be used to download only links that are available from an external network! 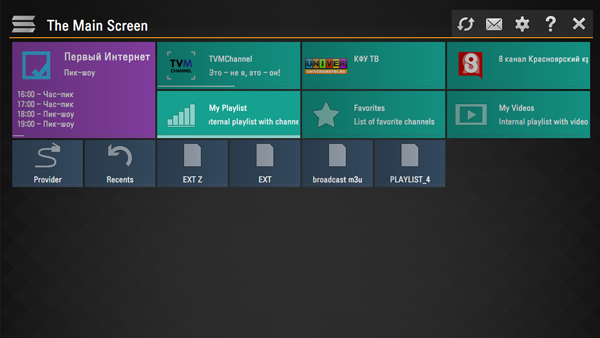 The channels in the playlist are displayed in the channel bar with logos. Downloading the new playlist will overwrite the old one. If you need to download the playlist again via the site, you do not need to receive a new access code, provided you have not cleaned the cookies from your browser.